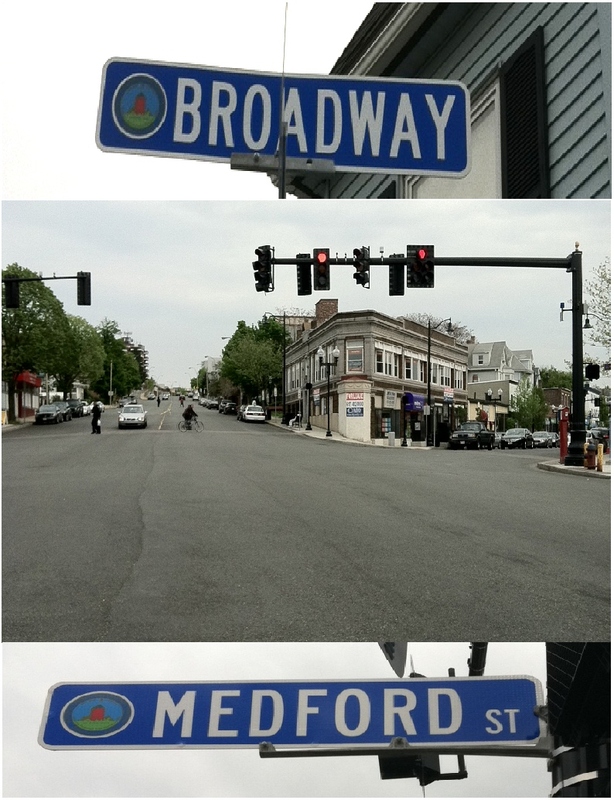 The Somerville Police Department will begin to enforce the "Do Not Block Intersection" sign at Hinkley and Broadway, as well as, the "No Left Turn" sign across from CVS and Olde Magoun's Saloon beginning tomorrow per legislative submissions made through the Board of Aldermen by Ward 5 Representative Sean O'Donovan. 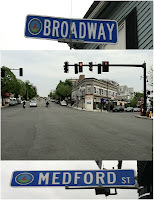 Legislative item numbers 193314 and 193315 requesting that the Chief of Police enforce the DO NOT BLOCK signal at Hinckley Street and Broadway and NO LEFT TURN restriction from the Magoun Square municipal parking lot onto Medford Street were both discussed at tonight's Traffic and Parking Commission meeting and enforcement will begin tomorrow per Chief Pasquarello as the assignments were given today. Both spots are areas for repeated violations with residents and city officials hoping to gain compliance through strict enforcement. Research in whether grid striping will assist with the Hinkley Street issue will be handed off to Traffic Engineer Terry Smith upon the suggestion of myself and Ward 4 Alderman Tony LaFuente who commented that the grid style is used successfully in New York. This comes as good news as Magoun Square (from Charles Ryan Road up Broadway and down Medford to Partridge) will be restriped sometime in August. Ward 1 Alderman and Committee Chairman Bill Roche asked the Chief to submit data (violation amounts) back to the committee for further discussion. I will, from experience, note what else should be enforced in regard to the one-way outlet between the CVS and Old Magoun... going right, eastbound on to Medford Street is allowed. Going left, westbound, on to Medford Street at that outlet, is banned.....but often seen done. But, my primary complaint, and the basis for this post are those drivers who illegaly enter that space from Medford Street to gain the CVS parking lot, or Dunkin Donuts. using that outlet, and twice, coming around the curve from the CVS parking area, head-on collisions were just barely avoided with vehicles going the wrong way----coming off the square itself; with both drivers looking and swearing at me as if I was in the wrong. There is one sign, facing Medford Street, telling drivers there is no entry to the parking area allowed from that point. Whether more signage is needed, or, the one sign there needs to be repositioned, is debateable. Once I observed a PCO (Parking Control Officer) witness a wrong way entry, and she ignored it. I guess PCO'S are not allowed to ticket moving violations. And don't forget about the no left turn out of DD. Should be fun. I want to go watch the enforcement in the morning and evenings; providing that's when they are going to post details, which is when they are most needed. Have No U Turn signs been put up yet? Add one more layer to the fun of that intersection. I wish they'd put up signs at the CVS to Broadway exit and on Dexter St reminding people that BOTH left turns from those points have to yield to oncoming traffic. They have simultaneous green lights and everyone acts like only their light is green. I've almost been in several accidents while turning right from one of these 2 points caused by opposing left-turners failing to yield. In my browser (Google Chrome for Mac), the first paragraph of this post is not readable. It shows up as five lines of white rectangle with no text visible. My HTML gets a little weird sometimes. It should be fixed now. It was the same in Safari (also Mac) - it's fixed now - but I just assumed the first paragraph had been intentionally blacked out for some reason!